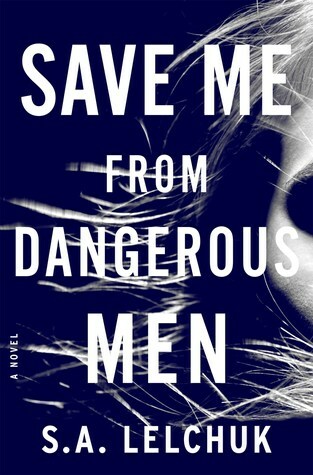 Series opener Save Me From Dangerous Men, by S.A. Lelchuk, is a wild run. I almost put it down a few times at the beginning because I found some aspects of protagonist Nikki Griffin highly implausible. But I kept going because, sometimes you need something that’s both thrilling and a little bit goofy. Nikki Griffin has two very different jobs. Her Clark Kent-esque day job is owner of a surprisingly successful bookstore a few miles from Berkeley University. Her superhero job is private detective and avenger of battered women. The bookstore and the private investigations pay the bills while Nikki provides a sharp lesson in not mistreating women to men who abuse them. (One of the tertiary characters calls Nikki Lisbeth repeatedly, even though she asks him not to.) Within the first few chapters, we see Nikki in all her guises before she is offered the job that will fuel the book’s plot. A very slick CEO of a company about to go big offers Nikki a very large amount of money to follow an employee who he believes is conducting corporate espionage. When that employee turns up dead after revealing that the company, Care4, is up to no good, Nikki puts her avenger hat back on and rains down violence on a whole bunch of men who hurt women and other innocents. Throughout Save Me From Dangerous Men there are excerpts from Nikki’s sessions with her court mandated therapist. Nikki has anger issues; she has no problem admitting that. She does have a problem with how the therapist suggests she deals with her anger: giving up beating people up. Nikki worries (a bit) that she’s a monster, but not enough to stop (violently) helping people she feels need her protection. Nikki’s role as an avenging angel is what kept me going through this book, even though I think there are a few Mary Sue problems with the protagonist. I would definitely recommend this book to readers who want to see men who hurt women righteously punished. 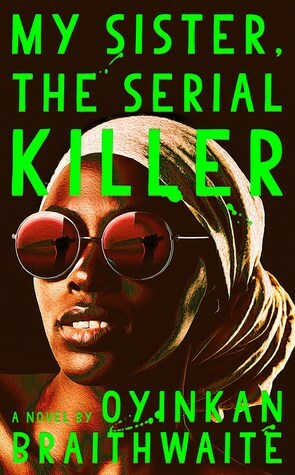 I don’t think anyone has tested the proverb, “blood is thicker than water,” as much as Ayoola does in Oyinkan Braithwite’s unsettling novel, My Sister, the Serial Killer. At the beginning of the novel, Ayoola calls our narrator (her older sister) to tell her that “it” has happened again and that she needs Korede’s help. “It” is murder and Ayoola has just killed someone for the third time. She is now officially a serial killer. Korede is a long suffering sibling. When she was younger, she protected Ayoola from their father’s violent temper. Now, she’s stuck protecting Ayoola’s secrets from everyone. Given that Ayoola has now killed three men, one might think that hiding Ayoola’s secrets would be difficult. But it turns out that Lagos, Nigeria might be good hunting ground for a serial killer. It also helps that Ayoola is so beautiful and captivating (at first) that no one suspects her. It’s only when people get to know her that they realize that Ayoola is missing something vital: empathy. Because we spend the novel sitting on Korede’s shoulder, we witness her struggles to clean up after her sister, literally and figuratively. We also witness her growing loneliness. This loneliness gets worse when the coworker Korede has a crush on meets Ayoola and the two start dating. Every time Korede tries to get her coworker to reconsider, it backfires spectacularly and painfully. It’s hard to watch, but utterly gripping because we spend every page of this book waiting for the hammer to fall. I spent a lot of the novel mentally begging Korede to stop covering for her sister and allow the sociopath to face the consequences of her actions. Braithwaite, however, shows all of the reasons why Korede finds it impossible to do so. In other hands, My Sister, the Serial Killer might have been a black comedy. Instead, Braithwaite shows us how the habit of a life time, paired with Ayoola’s camouflage and the incompetence and greed of the Lagos police, make it impossible for Korede to just let Ayoola destroy herself. She is the best of sisters, even if it means that she might be damned too. 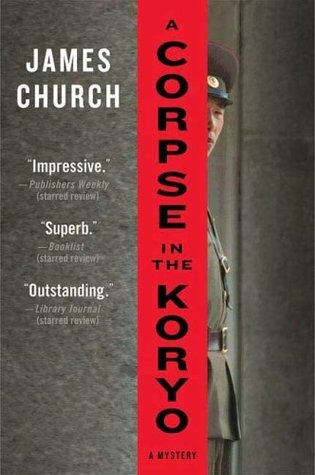 North Korea, as portrayed in James Church’s gripping novel, A Corpse in the Koryo, is not just a place. It’s also a Kafkaesque nightmare of rigid conformity, alternate histories, and lots of things way above Inspector O’s pay grade. This first novel in the series set up not just Inspector O’s jurisdiction—the hotels, restaurants, and other commercial operations in Pyongyang—but his character. O is an unconventional detective in probably the worst place to be an unconventional detective. He doesn’t wear his pin with the Leader’s portrait. He has a habit of polishing wood that seems to drive everyone nuts. Worst of all, he keeps asking inconvenient questions when he’s repeatedly told to stick to his patch. 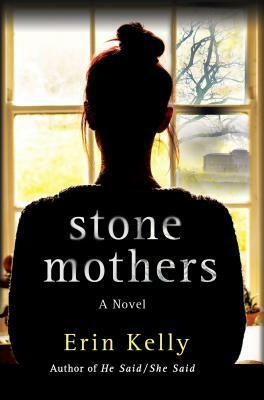 All of this makes for a great read, with a great character, in a fascinating setting. We meet Inspector O in the middle of what seems to be a bureaucratic tangle of the right hand not knowing what the left is up to. He’s been tasked with taking a picture of a car from a certain hill, at a certain time. But the camera batteries are dead and O gets the impression that the driver of the car knows he’s there. This strange incident, paired with scenes obviously set later as O is being debriefed by an agent of British intelligence, tell us that O is operating in deep waters. If we needed any more clues that O had been caught up in someone else’s schemes, his supervisor (and friend) sends him away from the city to a border town. The spy shenanigans kick into high gear, with O (and us) none the wiser about what the hell is going on. Because this is North Korea, nothing goes the way we might expect. There are bodies at the beginning of the novel, but O isn’t put in charge of an actual murder case until partway through the book. 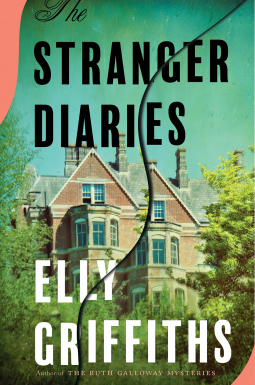 When O’s murder victim does turn up, a man who’s possibly Finnish in a hotel set up for foreign visitors in Pyongyang, he’s almost completely hand-cuffed by people who don’t want him to ask too many questions. Nothing is as it seems in the case, as O slowly starts to piece together clues and conspiracies. A Corpse in the Koryo had me completely hooked even before the bullets started flying. The mystery had me engagingly puzzled, but I absolutely loved the moments when O reflects on his Revolutionary hero grandfather. This grandfather taught him how to create beautiful things from wood—and how to keep his private thoughts to himself, his doubts, to himself and navigate the place that their country had become. It’s hard to say whether or not O believes in the Revolution as he encounters scam artists, hypocrites, true believers, and fellow travelers. All I can say is that O is still loyal to his country, as strange and dangerous as it is. This is truly a fascinating book. Fiction is a lot tidier than real life. For the most part, anyway. Villains are punished. Heroes are rewarded. Lovers get together and families are reunited. But, every now and then, I’ll read a book that leaves me unsatisfied and unsettled. Find You in the Dark, by Nathan Ripley, is one of those. It left a bad taste in my brain because the protagonist, Martin Reese, does terrible things and nothing happens the way narratives usually dictate. Normally this wouldn’t bother me. 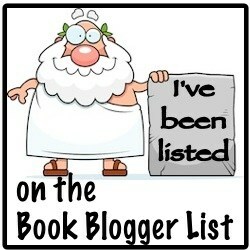 After all, I love books that play around with expectations. My problem with Find You in the Dark is that the ending smacks of rich, white, male privilege. The mystery is resolved, but it feels completely unearned. Find You in the Dark has a fascinating premise. I picked this book up because Martin Reese, a retired dot-com millionaire, spends his time looking for the remains of the victims of serial killers that were never recovered by the police. The reviews made Reese sound like a modern day forensic archaeologist who wants to bring justice and closure to people who never learned what happened to their loved ones. It wasn’t long, however, before the book starts dropping disturbing hints about Reese’s real motivation. Not only does Reese leave taunting messages for the police, sneering at them for their inability to find victims’ remains, he also gets a kind of pleasure from digging up remains that made me feel like I had lifted the lid off of something nasty. The novel switches between Reese’s perspective and that of Detective Sandra Whittal, who is obsessed with figuring out who the “Finder” is, and a man who becomes Reese’s nemesis. The three come together, so to speak, at the site of Reese’s latest find. He thought he was recovering the remains of his wife’s sister, who was killed by a serial killer who was later caught and executed before the book opens. 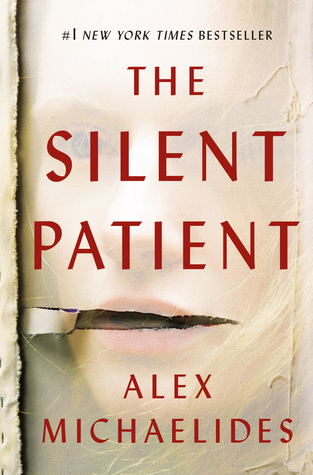 But when he digs up the body, Reese finds the body of a woman who was killed much more recently. The main action kicks off immediately as Reese panics and his unknown enemy starts escalating his mental torture of Reese. Unfortunately, Reese remained creepy to me throughout the story. I was unable to completely sympathize with him because of his taunting of the police and the almost sexual pleasure he takes in digging up remains. On top of that, the writing frustrated me. Because Reese and his nemesis are so paranoid about physical evidence, Whittal can only try to Sherlock Holmes her way to a solution. There are some breathtaking leaps of deduction that are close-but-not-quite-right that bothered me. (Whittal’s partner chides her more than once for this.) Whittal’s initial thoughts are on target, only to go wildly off track. Reese does a bit of the same in trying to figure out who is tormentor is the same. Unlike Holmes, whose logic is invariable unassailable, Whittal and Reese’s struck me as flimsy. What bothered me most about Find You in the Dark is the ending, which offended my sense of justice. I won’t reveal the ending, in case anyone wants to try it for themselves. I kept reading, in spite of the leaps of logic and my dislike of Reese, because I wanted to see how Reese would get himself out of his impossible situation. But while the plot threads are mystery are resolved in a way that ordinarily might have pleased me, Find You in the Dark just left me cold.